First thing, Abby had to wake up and fix the dishwasher AND the tub. AGAIN. 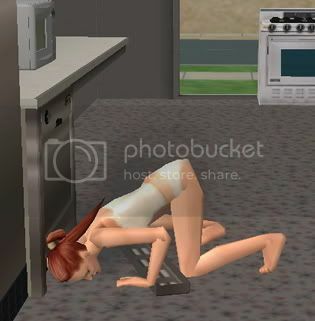 I don't know what these sims are doing with the tub, but it seems to break every other day! Oh well, she does need to earn more mechanical points, so I suppose it's not a bad thing. !!! I had to send Abby running out to greet her even though she wasn't exactly appropriately attired. 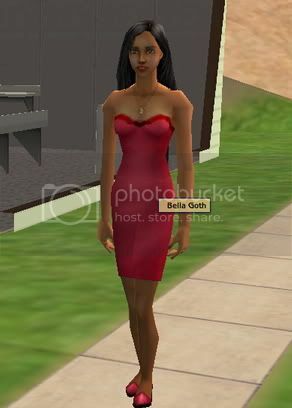 Bella Goth simply has to be someone who is in my sims' phone books. 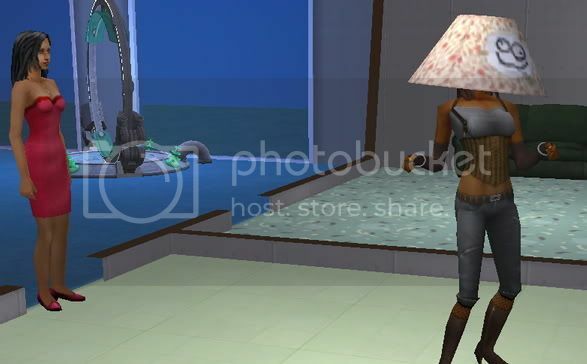 Is it me, or did she get prettier since the first sims? Cassandra certainly hasn't. 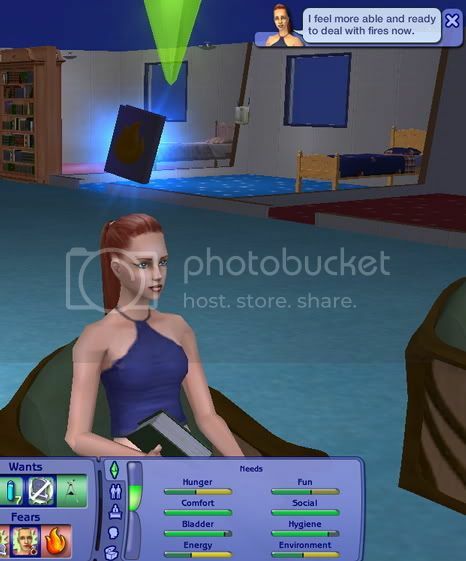 Bella pretty much made herself at home, as do all the simpeople who roam the neighborhoods. She didn't seem to get along with any of the men except Jin, though she liked the girls. 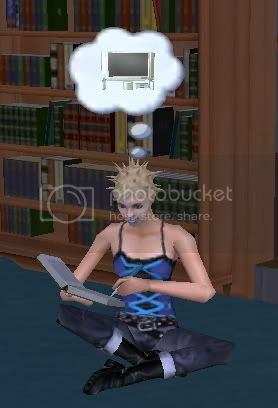 Maybe Mortimer did something horrid to her, and that's why she disappeared to Strangetown, forgoing the love of all men... Okay, I'm letting my imagination get away from me. Hey, what did Abby ever do to you!? Body language suggests they are enjoying one another's company. Hey boys...um...guys? GUYS. Say it with me: sub-tle-ty. P.S. Jared, Jack says, "Gee, your hair smells terrific!" Abby had the want to study fire safety, which I thought was actually a good idea since they don't have a fire alarm in the place. However, I find it ironic that once she studied up on it, she immediately rolled the fear of fire, which had disappeared after day 3. Jack apparently heard gossip that Abby's holding back on them with a big screen tv. Janie too. 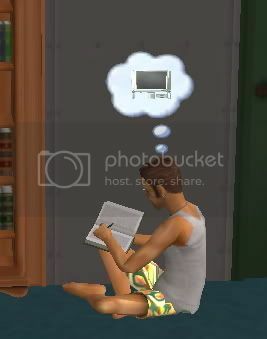 BTW, has anyone ever noticed all sims are left-handed? Love your asylum, I have tried it a couple of times myself, and know what you're going through! 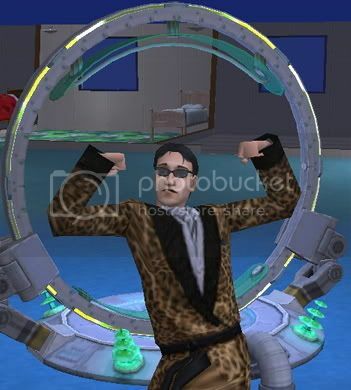 That shake Romeo has, I've had with some sims, I think it's when they drink too much coffee!